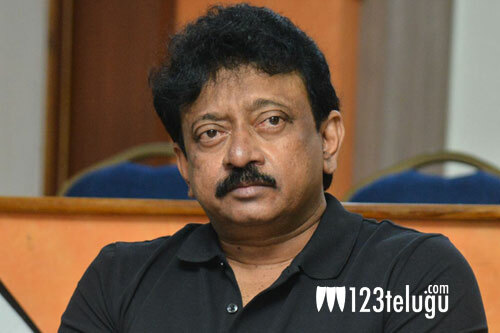 RGV is ready with his new film Lakshmi’s NTR. On the eve of the film’s release, we met him for a detailed interview. Here is the transcript. Why didn’t you make Lakshmi Parvathi herself act in the film? The story is 25 years old and now Lakshmi Parvathi has lost her prime and that is the reason I did not cast her even though I had that idea. Is the film made on Lakshmi Parvathi’s point of view? No, that is not the truth. The film is all about what happened to NTR after Lakshmi Parvathi entered his life and what consequences the star politician faced in his political career. Why did you make the film with unknown artists? I feel that when new actors play such powerful roles, the believable factor will be high. Also, they won’t inhibit in performing any controversial scenes on the screen. That is the reason I chose unknown faces. What kind of a role will Nadendla Bhakar be seen in this film? His character is not there at all in this film. His chapter was over long back. The film deals with what happened after 1989 when Lakshmi Parvathi entered NTR’s life. How true is the fact that you were offered 50 crores to stop the film? Laughs! There is no truth in this news. No one stopped me from making the film. After doing a lot of research, I made the film according to my sensibilities. One may or may not like it at all. Is this your hardest film to date? In a way yes. NTR is one of the most famous personalities in Telugu history. To make a film on his emotional state of mind in one of the most difficult times of his lives was surely a pressure for me.